Forgot your headphones? How about a case that remembers them? I have one rule. Don’t post about Kickstarter projects. We get several emails per day and I try not to mention them. However, this one looks like a very good idea. Picture the scene. You’re on the train, the bus or you’re walking down the street. You’ve got stacks of music on your phone and … AGHH!!! You forgot to pick up your headphones. There they are, sat on the table at home, and you’re busy swearing at yourself for forgetting the things. 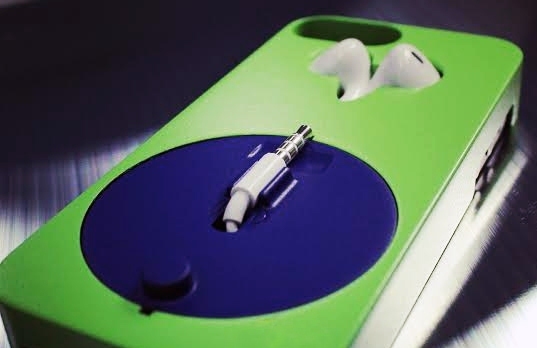 So, as a solution, here’s something that’ll protect your iPhone 6, 5 & 5s and they’ll carry your headphones too. Now for me remember my phone is one thing, but to remember my phone and a set of headphones everywhere I go? That’s another thing. So, here’s the solution to keep your Apple headphones right with your phone all the time. The case is a bit thick to be honest, so I’d love to see if they could perhaps work in an extra battery in there somehow too. That’d be a nice addition. Anyhow, as you can see in the video it winds the cable up nicely so there’s no tangled mess and it’s easy to plug in and get going. Oh, and Josh Shires and James Griffith, the guys behind this, are both from round here, so we’re keen to give them a bit of airtime. What d’you reckon?